Yeah, I love a good lazy Sunday morning. 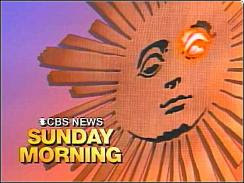 One of my favorite things to do on a lazy Sunday morning is watch CBS Sunday Morning. Rarely is there a story there that doesn't interest me. Today, one of the spots was about songwriter Johnny Mercer. It's his hundredth birthday, or something, and there was a statue dedicated to him somewhere. If he were alive, I'm sure he would have liked that. I learned, besides being a fabulous songwriter (many of his tunes were part of my piano repertoire growing up) that Johnny was obsessed with Judy Garland. I also learned that he was a drinker and that he would get rather "loud" the morning after. It was said when he worked that he had a sort of ritual. He'd lay down on his couch, pencil in his mouth, and close his eyes. His wife would say to the children, "Daddy's working." Of course they didn't believe that and she'd repeat, "Daddy's working." That made me think. Do I have any quirky writing habits? Since the kids are grown and I live alone (except for Clio and Calliope) I really don't have to explain my habits to anyone anymore ("Mommy's working.") but I deduced that I do, indeed, have some quirks. 1. It's 10:37 a.m. and I'm still in my robe. 2. My favorite coffee cup, refilled already a couple of times, sits to my left. 3. My favorite afghan is on my lap. 4. The laptop is on that. 5. The Food Network is on the tube. Those are my quirks. I've been working here like this for days. (My sister told me over Christmas that now that I'm a full-time writer, she's going to have to call me ever other day to remind me to shower. Sad, but true.) 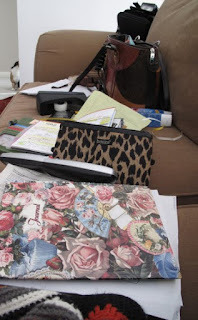 But as I look at my list, I realize that I am not as quirky as Johnny Mercer. Perhaps, I thought, I should lie down on my couch with a pencil in my mouth. Tweets, widgets and blogs, oh my! It's a soup day: Turkey Noodle! It's going to snow: Time for French toast!